Chefs • Live Music • Celebrities • Food • Beer • Wine • y MAS! at Fashion Valley Mall – River Plaza on Saturday March 16th, 2019. 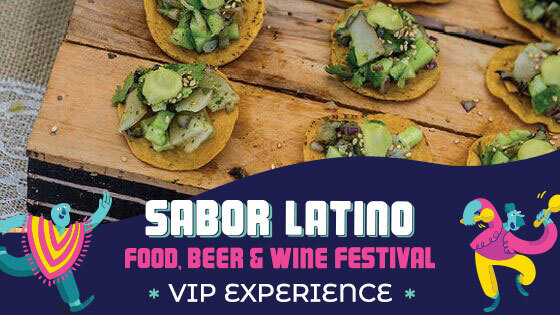 Celebrate Latino flavors and culture with us at Sabor Latino Food, Beer & Wine Fest! We invite you to enjoy unlimited food tastings inspired by celebrated Latino chefs, as well as unlimited beer and wine tastings provided by over 20 of the best craft breweries and wineries from San Diego and Baja California! We’ll also have live music and art showcases all day! All proceeds benefit the Media Art Center San Diego’s youth education and outreach programs. Tickets on sale now, get them before March 1st and save!